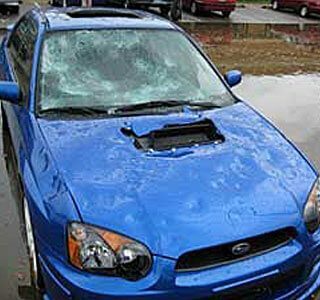 Car hail damage repair is not needed often, but when hail damage occurs, car owners need repair specialists. 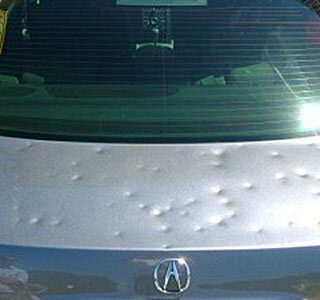 At Auto Color, our trained professionals and technicians use Paintless Dent Removal techniques to repair unsightly dents and dings. We are continually improving our technology and approach to paintless dent removal. 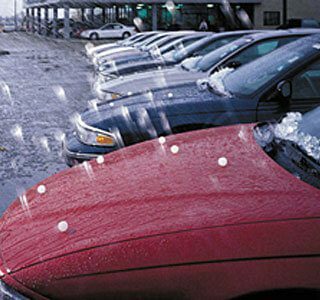 Auto Color repairs your vehicle to like-new quality with our paintless hail damage removal technology in the Middleton and Madison WI areas. Our process returns your vehicle to a pristine condition without the use of touch-up paint and body fillers. The paint job retains its luster and the entire auto will retain its factory paint finish helping your car hold its value. Our skilled technicians use specially-designed tools to reform body metal with hail damage back to its original condition and all repairs are covered by a 100% satisfaction guarantee. Our Paintless Dent Removal process is faster than traditional repair methods and can be accomplished for about 1/3 the cost. 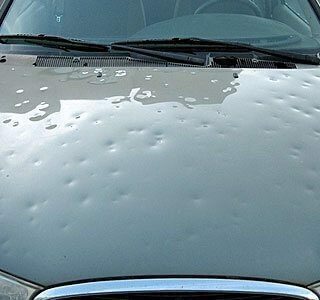 Auto Color sets the standard for quality work, customer service and turnaround time for car hail damage repair, paint scratches, dents and minor collision repairs in Madison. At our repair facility, we can provide quick, on-the-spot estimates and can have you driving again quickly and hassle free. 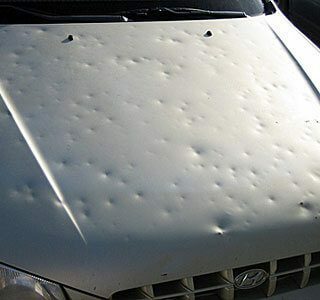 An average hail damage repair takes 7 – 10 days. Traditional body shops can take up to 30 days to do the same job.